... and already so many of you have made it and shared photos! Check out all FORTY EIGHT awesome projects that have been posted on Facebook and Instagram! My pumpkin 🎃 cottage!#the new SVGCuts.com piece. I love it! So fun!!!! 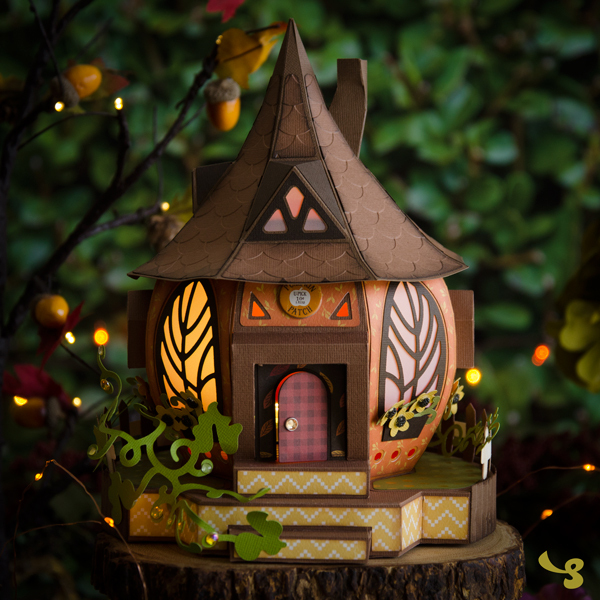 The finished “pumpkin cottage” from #svgcuts cut on my #silhouettecameo3 - had to replace my first picture since it looks so much prettier with the lights on! So neat to see them all!! You guys are the best!! Get yours here and customize it to your heart's desire!